Ash Lake, descendant of the ancient dragons. when wielded with two hands. Tail drop from the Stone Dragon in Ash Lake. The Dragon doesn't get hostile, so walk behind him and strike his tail several times until it falls off. Raises Magic and Fire defense by 20 points. Even though this weapon doesn't have any scaling, it has the highest base damage of any weapon in the game. 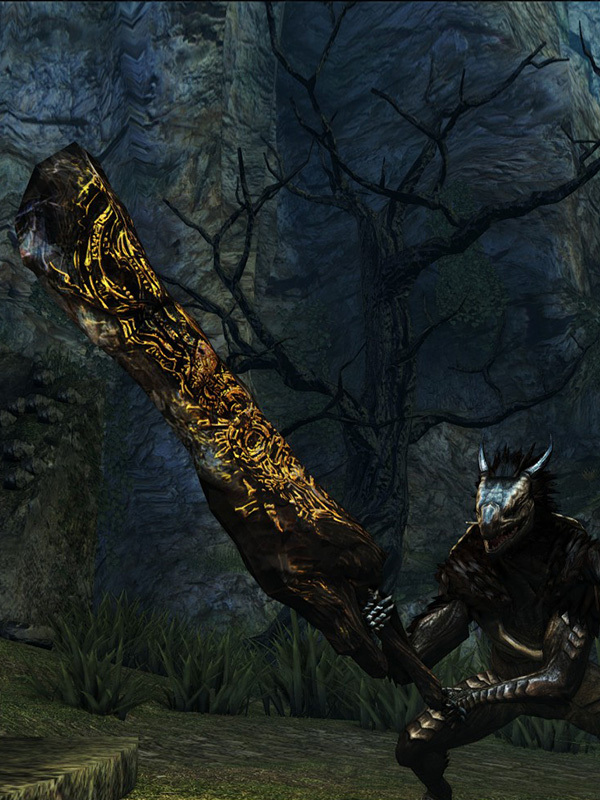 Because of this, the Dragon Greatsword can do comparable amounts of damage to other ultra greatswords.1 The drawback is that it cannot be enchanted and the minimum STR requirement of at least 34 for two-handing it. Using its two-handed mystical power will drain 50 durability with each use. 2. When two handing this weapon, only 34 Strength is required.